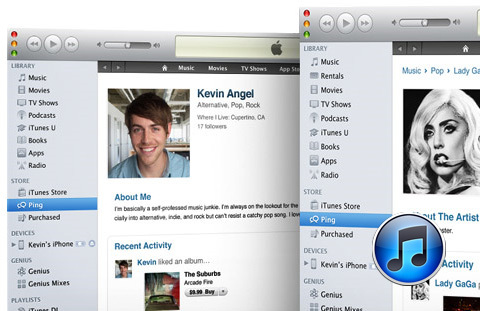 iTunes Subscription Service, Rumour Or Real? We’ve heard the rumours about Apple launching an iTunes subscription service quite a few times before but this time they sound much more authentic and believable. News from several reliable and respected sources like the New York Post, Reuters and CNet suggest that Apple is indeed serious in launching such a service. Details on the still hush hush project reveal that Apple’s Eddy Cue has been meeting with music company executives to pitch a new $10-$15 monthly service that would offer unlimited access to music — the pricing would be tiered depending on the amount of music consumed and how long you’d get access to it. It is also being said that Apple is trying to beat Spotify in getting the deal from the same labels and companies by declaring Spotify as a dead horse. This may not be true but Apple would sure get the world’s attention if it launches yet another service, diverting focus from the Windows Phone 7 launch. If the new iPad isn’t ready to launch before or at the end of this year, Apple will need a little something to end a massively eventful and successful year with another end of the year gift to its fans. Let’s see if rumours become reality this time.